Almond Energy Bites are the perfect pick-me-up snack for those afternoons when you are just needing a little pick me up!! I love that they are loaded with good healthy ingredients and you don’t have to feel guilty if you eat two of them. I love that my husband is trying to eat healthier. I know that it will keep him around for a few extra years and it is inspiring me to do the same. We both have a few extra pounds hanging around. Let me tell you, it is not easy having a blog and not eating all the goodies one makes!! 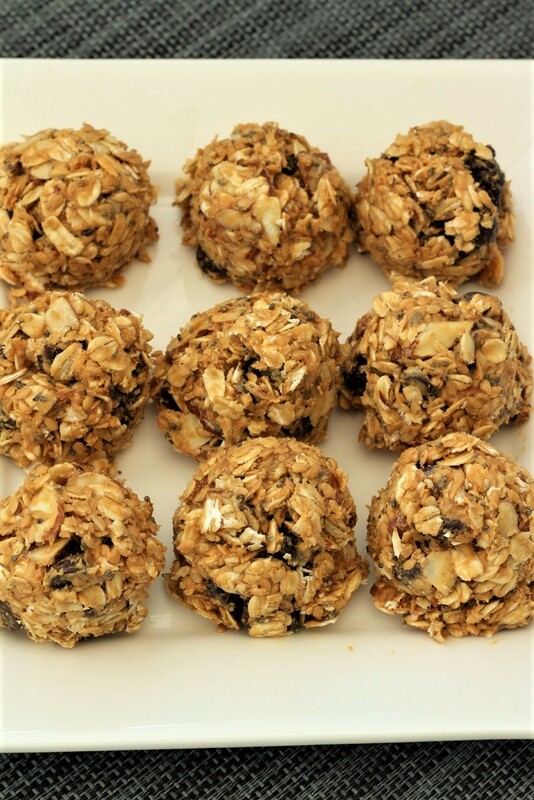 Energy bites are a great snack for when you are feeling hungry and just need some extra energy. These are a great idea and they do not raise your blood sugar so much. The grand kids are coming this week end and so I think that I will get some mini m&m’s and let them help me make some of these. I had to laugh at my oldest son last night. I made some honey cookies with Stevia and gluten free flour, and I thought my son was going to die. Ha ha. I guess that when you are use to sweet cookies and a different texture and you pick up a cookie and gobble it up, it could be a little surprising. So what kind of gluten free recipes do all of you enjoy, or not enjoy? 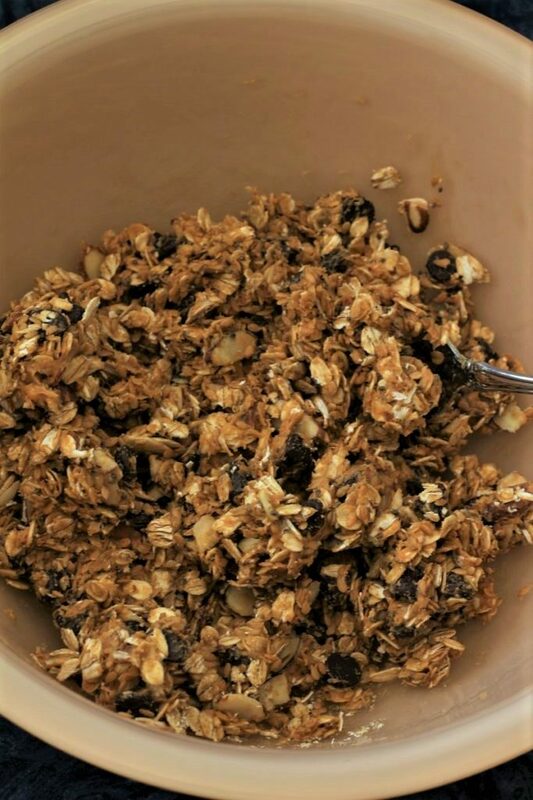 I know that my grandson would love these gluten free almond energy bites, you can always change things up a bit. You might just want to add raisins or craisins. And if you do not enjoy the almonds, you can just leave them out. One other thing, if you don’t care for the almond taste, you can use vanilla instead. 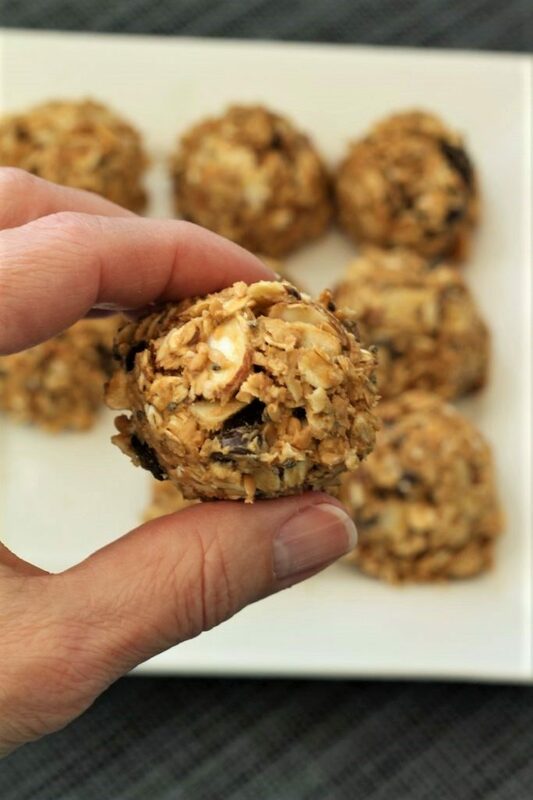 I invite you to make some of these delicious almond energy bites today, and if you are feeling very generous, you just might want to share them with a friend. If not, they do store in the refrigerator very well, for up to a week. One other thing, if you do not care for flax seed, you could also leave that out. When I am done mixing them, I scoop them out of the bowl with a cookie scoop, but I do not roll them in my hands because they tend to fall apart, and with the honey, they really stick to your hands. I guess that you could try spraying your hands with a cooking spray, but I think that if you pack the cookie scoop, you can just place them on a piece of wax paper or even a regular plate. I hope that you will enjoy them as much as we do! 1. You can always use gluten free oats. 2. Go ahead an use regular peanut butter as well. 3. Try pecans, walnuts, pumpkin seeds, or even sun flower seeds. 4. If you are trying to stay away from sugar, just leave the chocolate chips out! 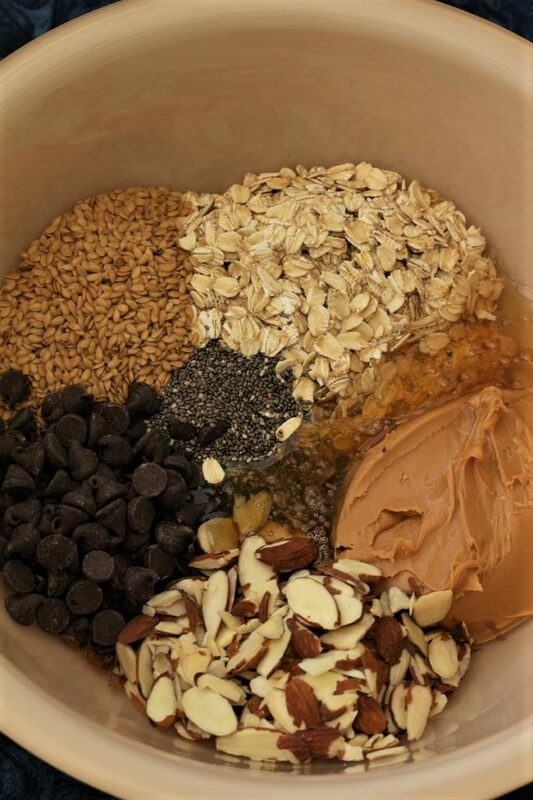 In a medium bowl, place all of the ingredients. Cover and chill in the refrigerator for 30 - 60 minutes. Then roll into 1" or 2" balls. Makes 12 (2") balls or 18 (1") balls.